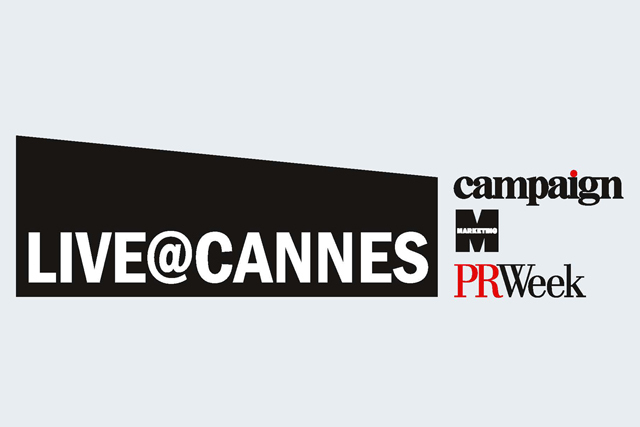 Campaign UK has teamed up with Campaign Asia, Marketing and PR Week US to launch Live@Cannes, a live blog of the Cannes Lions festival 2013. Live@Cannes is a dedicated international blog, updated around the clock to bring you all the news, winners, gossip and parties from this year’s Cannes festival. It is optimised for desktop, mobile and tablet, and run a Haymarket team from around the world and on the ground at Cannes. To keep up to date with all the Cannes news, bookmark the website campaignatcannes.com now and follow the official hashtag #canneslive on Twitter. Danny Rogers, the editor of Campaign UK and editor in chief of the Brand Republic Group, said: "With brands such as Campaign, PRWeek and Marketing, Haymarket's Brand Republic Group is the leading provider of content to the marcoms sector worldwide. "Our teams around the world are collaborating closely for Live@Cannes – to provide a constant stream of coverage from the biggest creative festival. 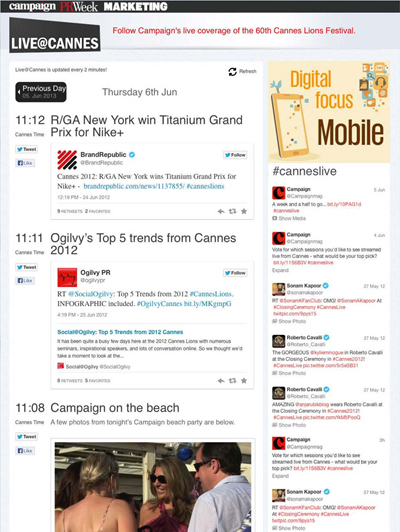 "As well as the advertising elite, Cannes increasingly attracts the wider creative and communications sector internationally, and we have launched our live blog to ensure advertising and comms professionals stay on top of all the news and opinion, all the time."